Such action is highlighted in the film "Selma," which tells the story of King leading a peaceful march for voting rights from Selma, Alabama, to the statehouse in Montgomery. 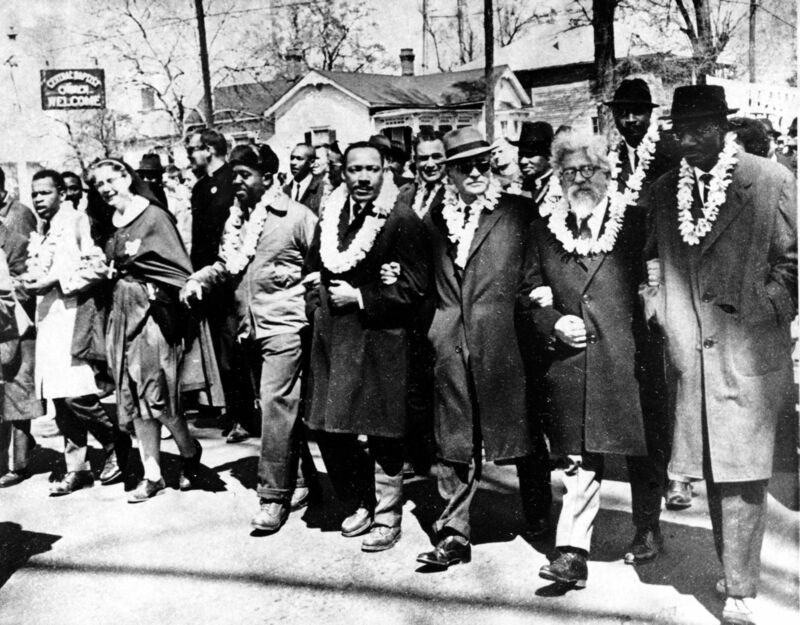 Hanging on the wall in my office is a picture of Rabbi Abraham Joshua Heschel, marching arm-in-arm with King during that march. Heschel reflected about his experience that day with a now well-known phrase: “I felt my feet were praying.” I look at this picture every day as I sit at my desk. It is a reminder of the Jewish imperative to work toward justice. But it also serves as a reminder that we all too often become complacent. King famously said that “the ultimate measure of a man is not where he stands in moments of comfort and convenience, but where he stands at time of challenge and controversy.” The deaths of two unarmed black men, Michael Brown in Ferguson and Eric Garner in Staten Island, at the hands of white police officers, and the subsequent grand jury decisions not to indict these officers, serve as chilling reminders that systemic racism is still a scary reality. Those of us who live a life of privilege can't take our advantages for granted or allow them to lull us into complacency. We need to get off of our metaphorical butts. We cannot ignore the injustice that our brothers and sisters deal with every day. We need to draw inspiration from King, and Heschel, and learn again to pray with our feet.